Perfect for painting gorgeous Vintage-looking fondant plaques and cookies, but also a great way to entertain the kids at Easter Brunch!!! Simply stencil the outlines in Royal Icing, and bring a set of our Food Coloring Pens, and they have an edible coloring book project. Shown painted with our Stained Glass Petal Dust set mixed with Cooking oil. Stencil patterns measure approximately 1-1/2" x 2". 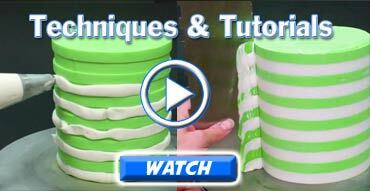 They're shown on cookies cut with the largest oval cutter in our Oval Cutters-Fluted set. Mesh Stencils are similar to traditional Acrylic stencils, only they allow for finer detail. The technique is similar to traditional stenciling with Royal Icing. A general photo tutorial is included with each Mesh Stencil set.